The world has changed a bit since 1981. But 35 years later (yes, 35), McRae is the company it’s always been … and more. The year was 1981 – not the most obvious time to start an investment advisory company. The Dow Jones Industrial Average, perhaps the best known measure of the stock market, stood at 963.99 on December 31, 1980. By the time 1981 drew to a close, it had fallen to 875.00, down a little more than 9%. At mid-year, the country was in a recession, the second one of the young decade. It was the year that Iran freed the hostages and the year President Reagan was shot. But, as it turned out, it was a very good year to start an investment company. The great bull market got underway in August 1982 and, despite some bumps along the way, it roared on for almost 20 years. As of this writing, the same Dow Jones Industrial Average is in the 16,000 range – about 18 times higher than at the close of 1981. In that year of 1981, Rod McRae founded McRae Capital Management with the idea of establishing a registered investment counsel firm whose objectives would be in total accord with those of its clients. The company wouldn’t sell any investment products, so it could objectively serve client needs. Compensation would come solely through an annual fee based on a percentage of the assets under management. Equally important, the emphasis would be on personal service, with all accounts handled on an individual basis. Now, in 2016, we would like to celebrate the firm’s 35th anniversary and the substantial progress we have made thanks to our clients and staff. From a tiny shop, we have grown to 8 people – and more than $300 million in assets under management. Our growth reflects our unwavering commitment to our core, client-first values, the very ones Rod McRae held in the beginning, in 1981. These core values have served us, and our clients, exceedingly well as we have grown to become an established member of the money-management community. And they will guide us as we grow further still. On that note, we’d like to introduce you to (or reacquaint you with) the heart and soul of the company: the people who make McRae Capital Management what it is. As the brief biographies that follow demonstrate, not only is there tremendous loyalty among McRae people, there is a consistent dedication to, and care for, the firm’s clients. This is also their chance to express their feelings for their clients – and the desire to keep serving them for anniversaries yet to come. Mira and her husband Aleks travel whenever they can. Mira has been with McRae Capital Management since 1988, and since 2012 she has been Vice President, responsible for the administrative team. With the rest of her team, she focuses on operational efficiencies and the streamlining of internal processes, implementing our clients’ highly developed financial plans, tailored to meet their individual goals. This includes helping clients with current and new accounts, initiating transfers, trading, and general problem-solving. Based on her experience, Mira believes McRae “is one of the very few companies that treats each client as a member of the family.” She adds, “McRae’s focus on the client really impressed me when I joined the team, and now, 28 years later, it’s a passion that hasn’t changed.” Prior to joining McRae, Mira was in accounting and auditing for a securities firm. Born in Poland, Mira has been in the United States since 1972. She and her husband, Aleksander, have a son, Roman, and two endearing grandsons, Marcus and Simon. Mira has a wide range of interests, including cooking and baking, re-decorating, and traveling, whether skiing or at the beach. Most of all, though, she enjoys spending time with family and friends. Bill spending some family time with his wife Michele, Lauren and Brendan. Bill recently joined us after seven years at TSP Capital Management Group in Summit, New Jersey, making him our newest employee — but also one of our most experienced and established. Before his TSP tenure, Bill was a Chief Financial Officer, Treasurer, Controller, and board member at four publicly traded banks in New Jersey. He says he was attracted to McRae by its “stellar reputation within the industry, and the high marks the staff has earned for customer support and satisfaction.” Bill and his wife, Michele, have been married for 25 years, and have a daughter, Lauren, at Fordham University, and a son, Brendan, at Saint Joseph’s University in Philadelphia. 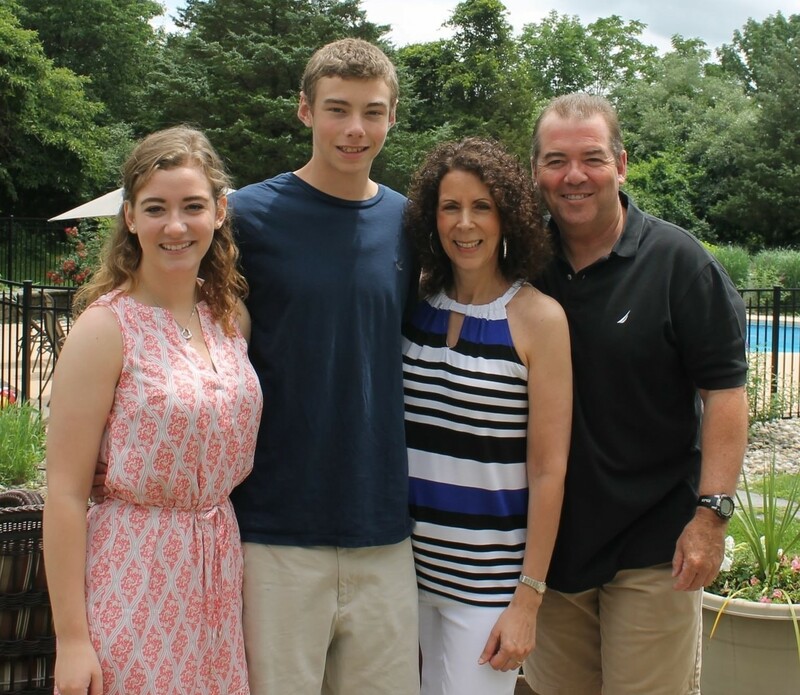 Bill was born and raised in Morristown, graduated from Fairleigh Dickinson University with a degree in accounting, and now calls Flemington, New Jersey, home. In his spare time, Bill enjoys bike riding, the company of his wife and their close friends and family, and avidly reading books. He and Michele are also rabid fans of the New Jersey Devils. 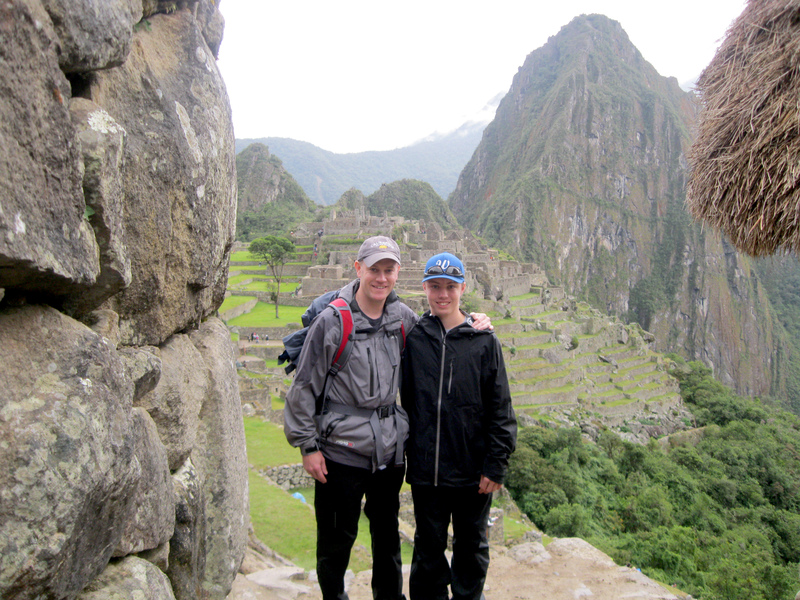 Peter and his nephew Rick hiking the Inca Trail to Machu Picchu. Peter has a background in both the corporate and investment worlds, with particular experience internationally. He started his career in corporate finance with Lucent Technologies, including an assignment in the Netherlands in which he worked extensively with teams from around the globe. He then joined Merrill Lynch as an equity analyst, where he developed strong research skills by teaming with the number-one-ranked utility-industry analyst. Peter joined McRae Capital Management in 2004. “The thing I love about being here is my involvement in a wide range of company activities, including portfolio management, equity research, and day-to-day operations,” he says. Peter is a graduate of the University of Vermont, has an MBA from Columbia University, and is a Certified Financial PlannerTM (CFP®). Outside of work, Peter volunteers as a mentor with Big Brothers, Big Sisters of Essex, Hudson, and Union Counties. He is a member of the Investment Subcommittee for the Foundation for Morristown Medical Center as well as a member of the O. Berk Company Family Business Forum at Fairleigh Dickinson University. He likes to play golf and soccer, and roots for the New Jersey Devils, Denver Broncos, and Los Angeles Angels. Travel is a love that has taken Peter to most parts of the world. 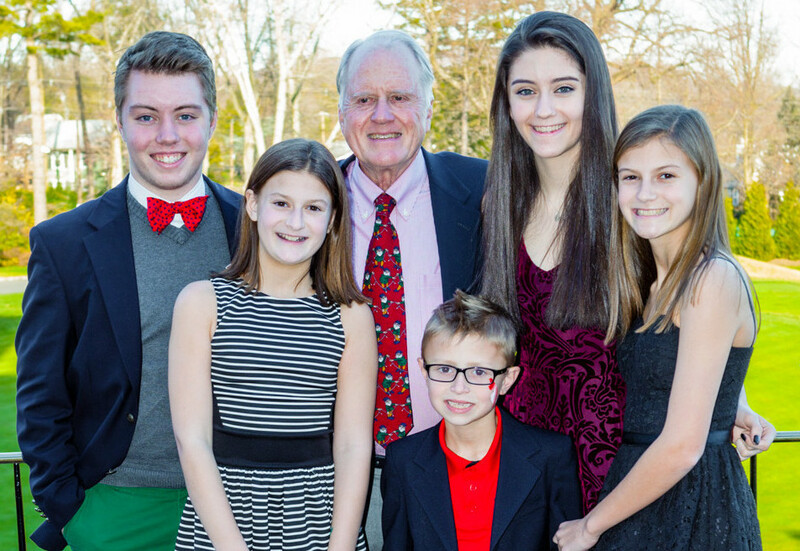 Five of Rods favorite things… his grandkids. Rod is President of McRae Capital Management, which he started in 1981. Rod has ultimate responsibility for the company’s fortunes, but he prefers to spend most of his time managing portfolios for clients. “Working with individual clients, helping them successfully manage their finances to achieve the results and peace of mind we are all seeking, is very rewarding,” he says. “Our clients’ interests are our first and only priority.” Rod was married to his wife, Alida, for almost 50 years before she passed away in 2014. Rod has three sons, Roddy, Kevin, and Peter, and five grandchildren, Rick, Reagan, Sarah, Kelly, and Scott. Rod is an avid squash player and golf enthusiast. He is a former President of Baltusrol Golf Club, and is now Chairman of the Transportation Committee for the 2016 PGA Championship. A Chartered Financial Analyst (CFA), Rod graduated from Trinity College and holds an MBA from Columbia University. Roddy, Cori and Reagan celebrating Rick at his high school graduation. Roddy is involved in every aspect of the company, from account management and business development to security analysis and helping to manage the business. Roddy joined McRae Capital Management in 1996 from Morgan Stanley in New York City. What he likes best about what he does is working directly with clients – and “eating Mira’s baked goods.” Roddy graduated with honors from Brown University with a degree in electrical engineering. For the next two years, he traded fixed-income derivatives for the Bank of New York before going to Duke University for his MBA. After graduation in 1993, he joined Morgan Stanley. Roddy is a Chartered Financial Analyst (CFA) and a Certified Financial PlannerTM (CFP®). He and his wife of 23 years, Cori, have two children, Rod IV (Rick), 19, and Reagan Patricia, 17. Like his father, he is an avid golfer, sporting a low single-digit handicap that he used to win the Baltusrol Golf Club championship in 2004. Roddy is the Green Chairman at Baltusrol and is a member of the Executive Committee for the 2016 PGA Championship. He also enjoys fishing and is a big fan of the New York Yankees and New York Giants. 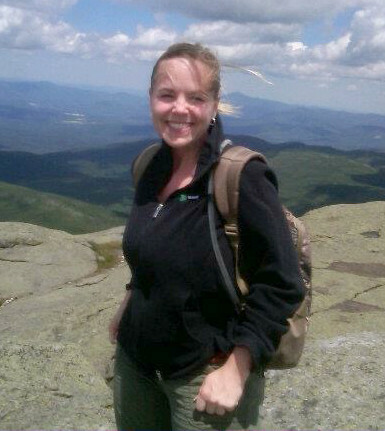 Heather enjoying hiking in the Adirondacks. Heather joined the McRae team in 2015 as our newest account administrator, responsible for trading, account reconciliation, new account openings, and assisting the clients with any account needs they may have. About McRae, Heather says: “What I really enjoy about being here is the appreciation and care that they show the team and clients. When you feel appreciated, it comes through in the work that you do and in your interactions with the clients.” She adds, “It has been such a pleasure meeting the clients face-to-face over this past year, and I look forward to meeting more of them.” Before joining McRae, Heather spent 10 years as an Assistant Manager at TD Bank. In her leisure time, Heather enjoys traveling, kickboxing, and being outdoors, especially hiking in the Adirondack Mountains of New York state. Lydia joined McRae Capital in 2004. Twenty years earlier, she began her career in the Global Securities Services division of Bankers Trust (now part of State Street) as an account administrator for various retirement plans, including corporations, Taft-Hartleys, and public funds. Lydia enjoys being in a small office where everyone has a professional philosophy and makes clients the number-one priority. “I am so impressed seeing the longevity of the relationships between the clients and McRae Capital Management,” she says. “It says a lot about the quality of the people who work here.” In addition to working with clients and administering accounts, Lydia is very involved with the company’s computer systems and running internal and external reports. She graduated from Rutgers University with a B.A. in economics and a concentration in finance. 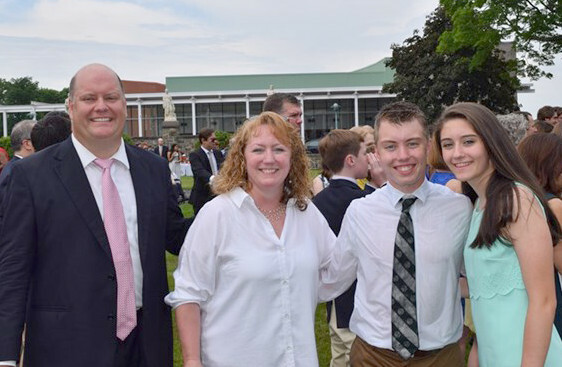 Lydia and her husband, Peter, a self-employed Certified Public Accountant, have been married for 19 years and live in Little Falls, New Jersey. They have a daughter, Stephanie, who is a sophomore in high school. 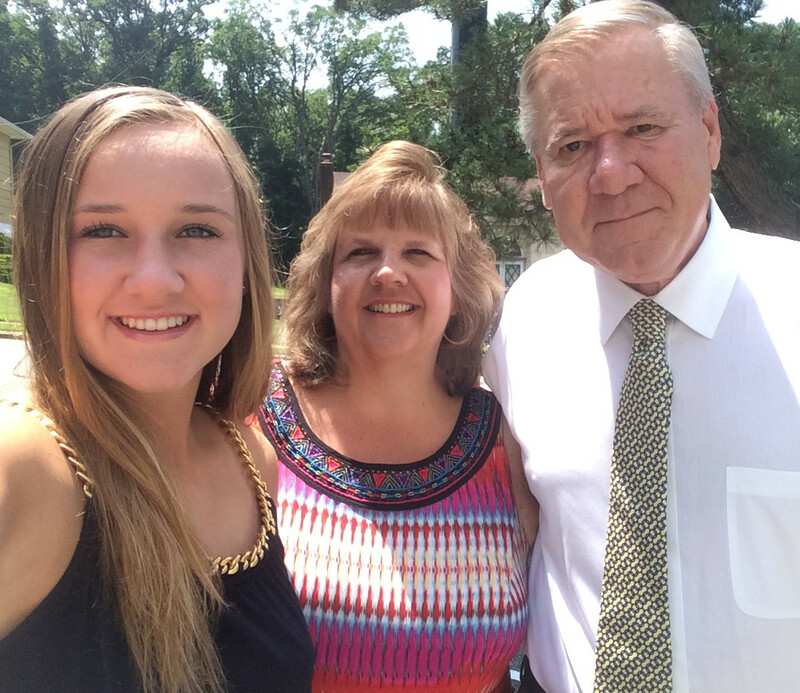 Lydia enjoys traveling, reading, and spending time with family and friends. Most of all we’d like to thank the most important members of the McRae community: You, our beloved clients. Thanks so much for your continued support and patronage. If there’s ever anything we can help you with, please don’t hesitate to give us a call.